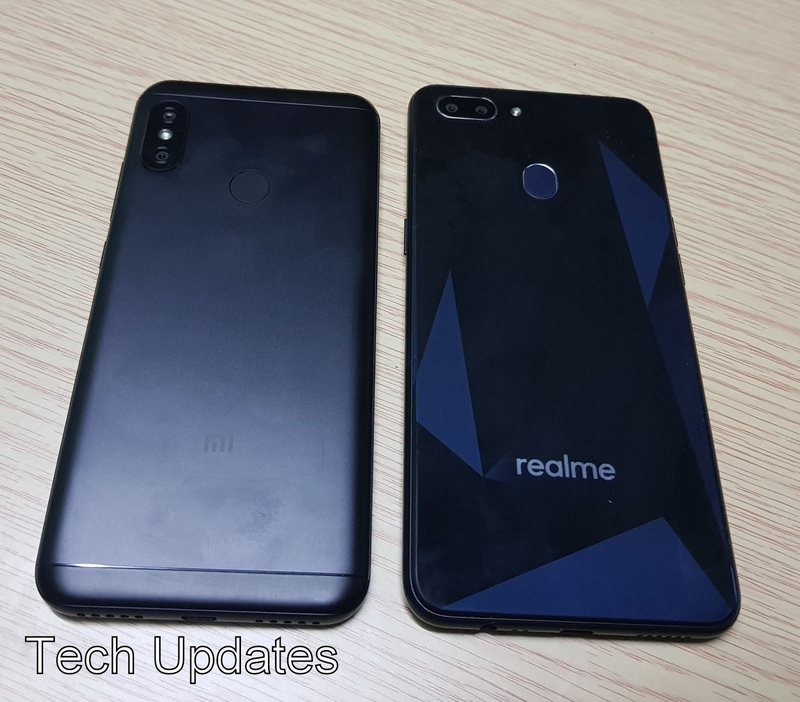 Both Phones come with Dual Rear Camera, Fingerprint Scanner, Redmi 6 Pro has a Metal body compared to the plastic body on Realme 2. 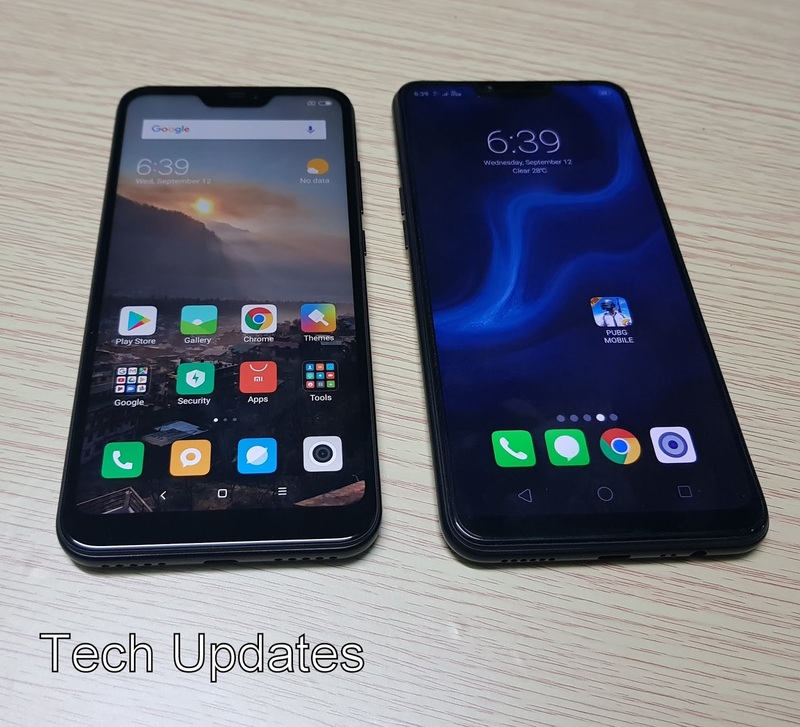 Both Phones has Notch Display Redmi 6 Pro has 5.84-inch (2280×1080 pixels) Full HD+ Display whereas 6.2-inch HD+ 19:9 Display on Realme 2. Redmi 6 Pro display is brighter. Redmi 6 Pro is powered by an Octa-Core Snapdragon 625 processor whereas Realme 2 has Octa-Core Snapdragon 450 processor both phones come with Adreno 506 GPU performance is similar. Both Phones come with 3GB/4GB RAM 32/64GB internal Storage there is also Support for dedicated MicroSD Card Slot. Redmi 6 Pro has a 12MP rear camera with LED Flash, 1.25μm pixel size, PDAF, Secondary 5MP camera and 5MP front-facing camera whereas Realme 2 has a 13MP rear camera with LED flash, f/2.2 aperture, secondary 2MP camera with a f/2.4 aperture and 8MP front-facing camera, f/2.2 aperture, 1.12μm pixel size both phones has support for 1080P Video recording and Portrait mode low light camera better on Redmi 6 pro. Both Phones runs on Android 8.1 Oreo with Custom user interface and will be getting Android Pie Update. Both have support for Fingerprint Scanner and Face Unlock. Realme 2 has Support for Dual 4G VoLTE Which lacks in Redmi 6 Pro, Call quality, Audio output good on both phones. Redmi 6 Pro has 4000mAh battery whereas Realme 2 has 4230mAh Battery both phones does not Support fast charging & has MicroUSB port Support. Both Phones are able to deliver More than 1 Day of battery life on Single Charge.